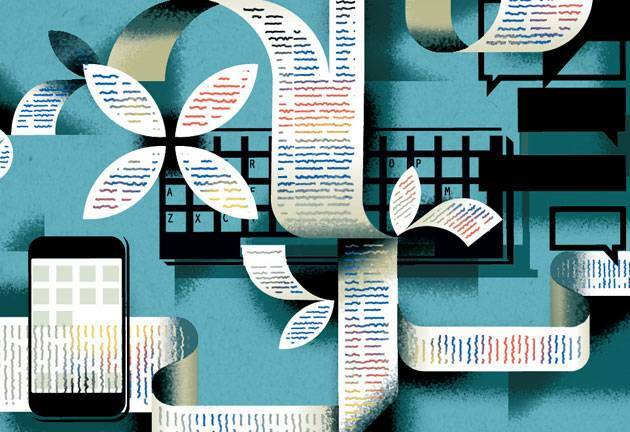 Savvy journalists have adapted (or have been forced to adapt) to a new, more collaborative publishing model online. Here are my notes from a keynote presentation I delivered on this topic at the OCLC Collaboration Forum, held at the Smithsonian, on September 21. Matsuo Kinsaku was born around 1644 in Japan. As a young man, he became a master of a form of collaborative poetry. He was very successful and popular, but around 1682 Matsuo became dissatisfied and started traveling around Japan. As he went, he wrote compressed travelogues interspersed with very short poems. They were kind of like those kick-off verses, except they stood on their own. Over time, his new approach gained popularity, power and subtlety. 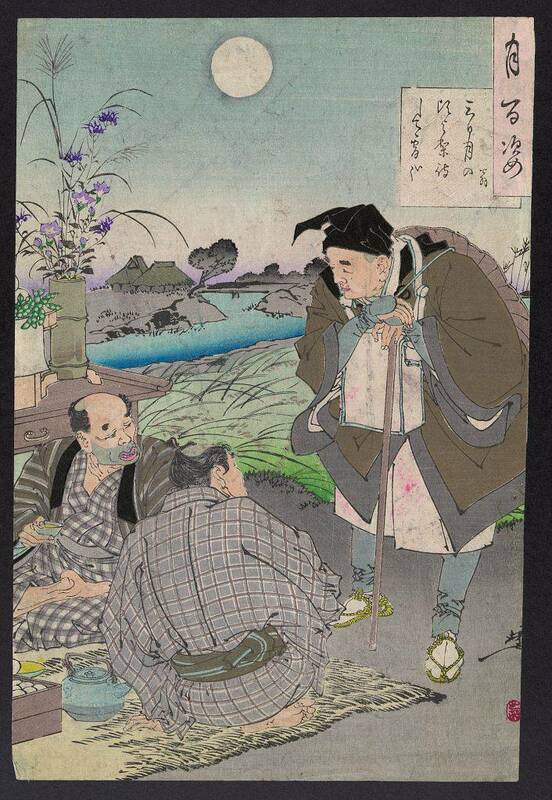 He took on the poetic name of Basho, and his artform is known today as haiku. Since the 17th century it’s been primarily an individual activity, like other poetry. In some cases, those responses are simply comments like “great work” or “beautiful imagery.” But sometimes, people post their own haiku in response. On occasion, that’s sparked a whole chain of linked verses, each one responding to the one that came before. A similar thing, I think, is happening in journalism. 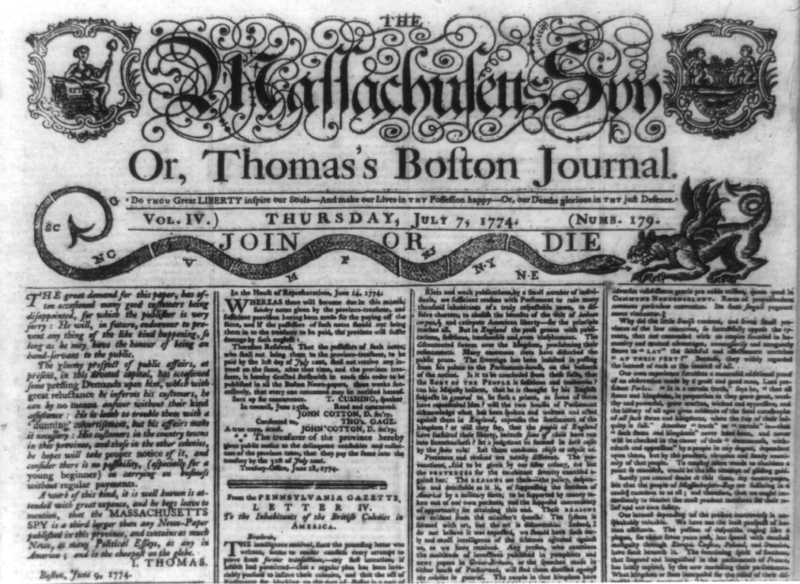 In the 18th century, American journalism emerged as a boisterous supplement to the mail. Postmasters were the earliest publishers, because their jobs put them at the center of the community, where they’d hear rumors and news from locals as well as far-off lands. Publishing a newspaper was both a way of taking advantage of the postal infrastructure, and a way of drawing together a community’s conversation. Not surprisingly, early newspapers were argumentative, opinionated, political, and sometimes even slanderous. They reflected the political and social conversations of their time and place. Skipping forward to the 20th century, as newspapers became big businesses, journalists adopted a loftier, more impartial, “objective” tone. That’s partly because they wanted to reach bigger, more diverse audiences. But it also had to do with the need to not piss off advertisers. Whatever the result, the act of creating journalism became a more isolated activity, and less conversational. With the advent of the internet, journalism is again become more conversational, more collaborative. I think that’s a wonderful and exciting thing, much like the return of spontaneous, collaborative linked verses on tinywords. But it does have its moments of terror, anxiety and frustration. I’d like to give you some stories, by way of example, to show how that process is happening, and some of the things we’ve learned about what works and what doesn’t. Now, what’s going on in journalism is also reflected in other fields of communication. Music, television, movies are all undergoing similar upheavals. Even product design and product marketing are being forced into more collaborative models. Case in point: Old Spice guy. This phenomenally successful advertising campaign drew all kinds of attention this summer when, for several days, the advertising company behind it recorded a series of spots in response to public comments on Twitter, Facebook, Reddit and more. Not everything I’m going to talk about will be transferable to those fields, or to the fields of libraries, museums and archives. But I hope there will be some lessons in what follows — or failing that, at least some comfort. You’re not alone. Social media is increasingly important to journalists as a research and promotion tool. Why? Because that’s where our readers are — and in many cases our sources. We made some sourcing errors, and when we corrected these, we were insufficiently transparent about that. Combined with the article’s provocative headline, that meant we came in for even more grief (viewed as a coverup). In the end we had to publish an explanation that was as long as the original article. Carefully tiered system allows anyone to comment, but only “starred” commenters are readily visible. Star system lets editors delegate moderation to the most trusted commenters. Each commenter also has an identity. Result: comments are often highly entertaining — as much if not more so than original article. LESSON: Moderation/community mgmt tools can make a huge difference. I’ve seen this on tinywords, too: It took many iterations to find a comment system that encouraged the right kind of interaction, not just long-winded debates. With the right comment system and a smart, engaged community, journalists are not the last word — they are conversation starters. Recruited more than 2,600 respondents to help measure, and map, AT&T’s 3G network coverage. LESSON: You can accomplish a lot with free tools (eg ZeeMaps). Cleaning up data is going to take a lot of work. Have a backup plan in case of server overload (eg static image). Joint effort between Wired.com and NewAssignment.net, led by Jeff Howe and Jay Rosen. Aimed to report and produce a series of stories about crowdsourcing. Result: mostly failure. Volunteers came on board before there was anyone to manage them. Articles were long and poorly edited. LESSONS: Engage editors/managers early. Crowdsourcing works best with well-bounded, clearly-explained problem sets. Professionals can help clean up / bring amateur work to a higher level. Launched in February 2010. Community built around technology & technical needs in rebuilding Haiti. Goal: to be a long-term, persistent community hub. LESSONS: Defined problem set, good tools make a big difference. Also, hire a good, committed community manager. Crowdsourced enthusiast magazine. Readers are natural contributors because they’re enthusiastic about the subject. LESSONS: “structuring the test so people can pass.” Lappin’s term for making the assignment achievable (eg short, 400-600 word articles, not long-form narrative). And rigorous editing. Roger Ebert has pointed out that there are more movie critics than ever now, and in many ways, they’re better than ever. Cites Andrea Lunsford, a professor of rhetoric at Stanford. Studied 14,000 student writing samples from 2001 – 2006. “I think we’re in the midst of a literacy revolution the likes of which we haven’t seen since Greek civilization,” she says. I find that really encouraging. It is true that the economic environment for journalism can be very threatening, and there are many unanswered questions about who will fill the vital role of newsgathering if no one can make a good business out of it. But the fact that there is so much conversation embedded within journalism now has to be a good thing. And the rise of more and better writing, by far more people, is contributing to that. People who used to just read the news are now reading it more critically, responding to it, posting comments or writing commentaries and news stories of their own. Collaboration may be forced upon us. But it is creating a virtuous circle of interactivity that will serve both journalists and the public better in the long run. What Kinsaku did in his time is similar to what we call Renga in poetry, though I’m not sure of its origins. It’s a great exercise for writers, though it doesn’t necessarily take a master to get things started.